The temperatures outside are getting colder and the heating season is soon upon us. According to the Department of Energy, heating in the average U.S. home is the largest energy expense accounting for 45% of energy bills. Heating is a large expense, but with an efficient running furnace, you can save money. A furnace should be inspected annually to keep it running efficiently and for safety reasons. One common safety concern is Carbon Monoxide (CO), a natural product of incomplete combustion. Usually, CO is removed through an exhaust pipe or flue. However, some furnaces do not draft properly or develop small cracks in the combustion chamber over time. These poorly performing furnaces can emit deadly amounts of Carbon Monoxide into the home. Furnaces should be inspected by a professional to check if everything is running efficiently and safely. 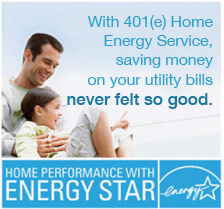 Here at 401(e), our trained technicians perform a furnace analysis as part of our energy assessments. 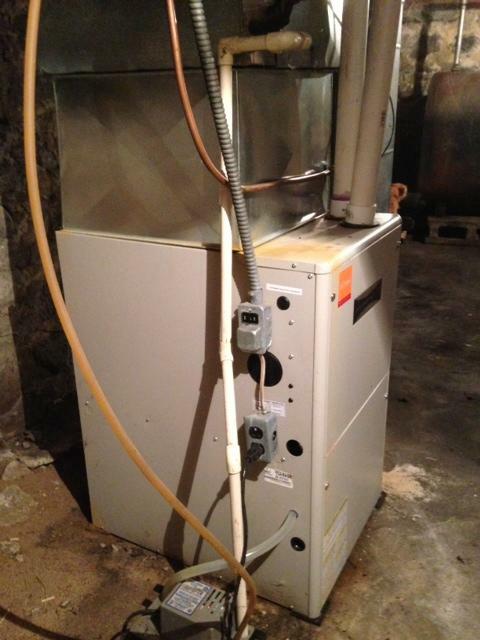 We can also put you in touch with one of our excellent partner contractors to have your furnace cleaned and tuned-up. By having the furnace inspected and following these tips, you can heat your home with peace of mind this winter.